Celebrate baby with a bespoke birth announcement. This sweet keepsake hand painted in choice of pink or blue is wonderful as a gift and nursery décor. Each measures approximately 16" x 12" x 1" and comes fitted with a metal picture hanger on back. 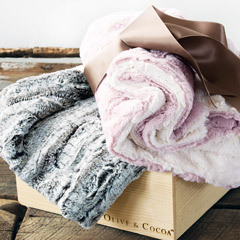 Arrives adorned with a fluffy signature Olive & Cocoa® satin bow. Custom sign takes approximately 5 business days to create. Free personalization. 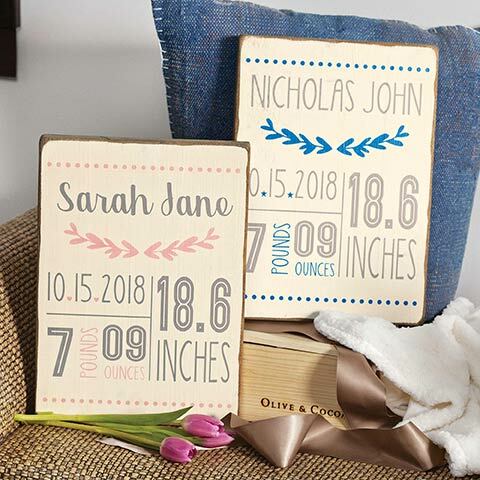 Customized Birth Announcement Board is rated 5.0 out of 5 by 1. Rated 5 out of 5 by Loli from Wonderful baby gift The baby room plaque is perfect. The colors match his room so well. His parents were thrilled with the gift.